RSI provides special vocational training opportunities for military students interested in becoming HVAC/R technicians. Make your military benefits pay off by jump-starting your career. The transition from military to civilian life can be challenging, and RSI wants to help those who have served, or are currently serving, to achieve success on the road from combat to career. You have served our country well, and now it’s our turn to return the favor. GI Bill® and MyCAA programs are available for eligible veterans, active duty and dependents. Discuss your funding options with us. If you’re ready to start looking for ways to afford your education, you should first talk to an admissions representative, then a financial aid advisor, who can help you find the right military and VA tuition funding programs available at our school, in addition to any other financing options. Contact us now to discuss your financing options. Fill out a Free Application for Federal Student Aid (FAFSA) to determine your options for financial aid. The FAFSA will determine your eligibility for federal grants and federal student loan funding for education. Learn more about scholarships available at RSI. Students are the heart of RSI. We’re with you every step of the way. We’re proud of the strong partnership between our staff and students. We know adjusting to a new environment can be difficult, so we build a bridge for our students by providing ongoing support and guidance. 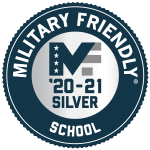 Our team provides a host of student services, as well as special attention and assistance for our students who are either currently serving or have served in the military. Use the information below to contact the department best suited to address your questions and concerns. Use our net price calculator to get an estimate of what your tuition to attend RSI would cost. For a more accurate quote, please contact RSI directly. For more information, please review the RSI catalog. Contact RSI for more information. Schedule a personalized tour of our campus with an Admissions Representative. For out-of-state students, we have a virtual tour of our campus you can view. Apply for admission to RSI.